Most people think about investing in real estate in their personal name or holding it inside an investment company (such as an LLC). But many people are discovering that there are other options, including Self Directed Individual Retirement Accounts (SDIRAs) or Solo 401k and the like for real estate investing. That’s right, you can hold real estate in your self-directed IRA. It’s a powerful way to put your retirement fund to work by owning a cash-flowing asset and letting the income grow tax-deferred or tax-free until retirement. Self Directed IRA real estate investing – is it possible? Yes you can! 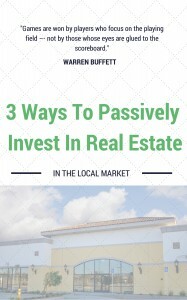 Most people are only aware that they can invest in stocks or funds in their 401k or IRA but you can also invest in real estate. (Some IRA custodians don’t want to hold real estate for you, which is why you should find a self directed IRA custodian who will). We have a list of 30+ Custodians that work with Real Estate. You simply purchase the property in the name of your 401k/IRA (not your personal name) and all income goes into your 401k. You can even pay for any management fees inside your IRA as well. Should I invest in real estate with my self-directed 401k? You might even find, like many investors do, that putting a few cash flowing properties into your 401k/SDIRA could allow you to retire even sooner than you realized! What would life be like if you didn’t have to wait until aged 65, 70, or 75 to retire but could retire right now? If you want some help, ideas, or even an introduction to a self-directed 401k custodian, we can help. Give us a call at 1-866-947-2265 or fill out our form and we’d love to help you make this smart move to self directed 401k real estate investing.